The unique Sonorest Sleep Tones™ machine is designed to help tinnitus sufferers create a comfortable and relaxing sleep environment so they can fall asleep, stay asleep, and awake refreshed – despite ringing or other phantom noises in their ears. 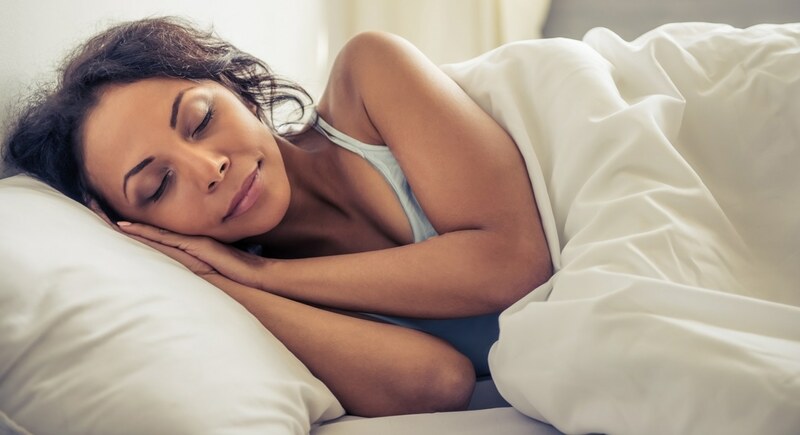 If you have trouble sleeping due to tinnitus, you’re not alone – according to a recent survey, 77% of tinnitus sufferers say their symptoms are most bothersome when they are trying to sleep. 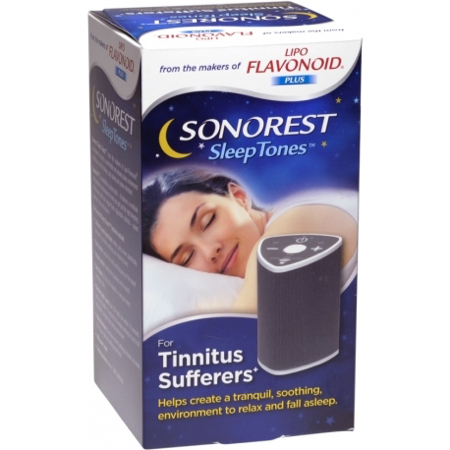 Thanks to the tinnitus experts behind Lipo-Flavonoid® there’s now Sonorest Sleep Tones™ — a compact ambient noise machine designed specifically for tinnitus sufferers. Research has shown that some noise spectrums or “colors” are better than others for this purpose. For instance, there is evidence that white, pink and brown noise can help reduce the difference between background and “peak” sounds like the buzzing or hissing of tinnitus.3 Which is why Sonorest Sleep Tones provides you with options for each of these sound spectrums as well as controls to help you find the tone and volume to help ease the disruption caused by your tinnitus. Try Lipo-Flavonoid® Night, which contains the same #1 doctor-recommended4 tinnitus-easing ingredients as Lipo-Flavonoid® Plus as well as evening, delayed-release melatonin* – to help tinnitus sufferers fall asleep and stay asleep. Optimize your sleep habits and environment with these helpful tips. 3 distinct sound spectrums (white, pink and brown) specifically designed to provide soothing and relaxing background noise. White: The "flattest" sound in that it contains an equal amount of energy across its frequency bands. Simply put, white noise provides continuous sound that covers a large spectrum. Pink: Similar to white except it contains an equal distribution of energy in each octave and is calibrated to sound balanced to human ears. To some, pink tones may sound less "noisy" and more “airy” than white. Brown: The lowest frequency of the three. Brown noise often sounds like a soft, deep rumbling. Tone control: Adjusts pitch and frequency. Dimming light panel: Blue LED lights dim within 10 seconds and turn off within 15 seconds of setting adjustments to avoid additional light in your sleep environment. Internal Memory: Saves your settings so you only need to make adjustments when you want to. USB power input: Convenience at home. Battery backup: Takes 4 AAA batteries for easy travel. We recommend experimenting with the volume, tone and spectrums of your Sonorest machine to find the most relaxing sleep environment for you. Patient Roadmap. American Tinnitus Association website https://www.ata.org/managing-your-tinnitus/patient-roadmap. Accessed November 1, 2016. Sound Therapies. American Tinnitus Association website https://www.ata.org/managing-your-tinnitus/treatment-options/sound-therapies. Accessed November 1, 2016.